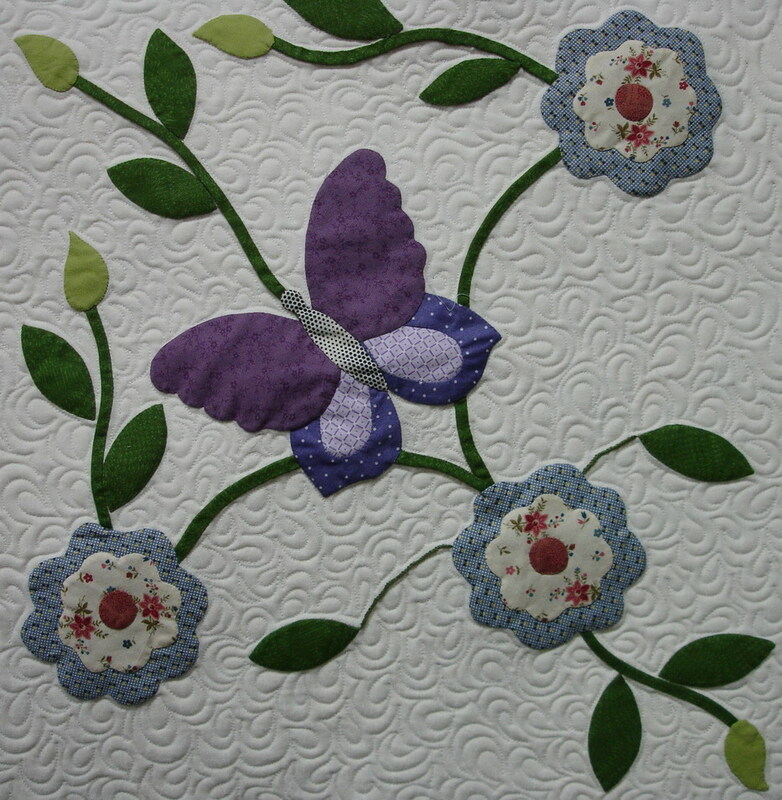 This entry was posted in Applique, Cotton Mako', Cotton Mako' Ne 28, Cotton Mako' Ne 40, Home page, Quilting and tagged applique, Cotton Mako 28, Cotton Mako 40, Cotton Mako', long staple cotton, machine quilting, Patchwork, Quilting. Bookmark the permalink. Thank you Julie. 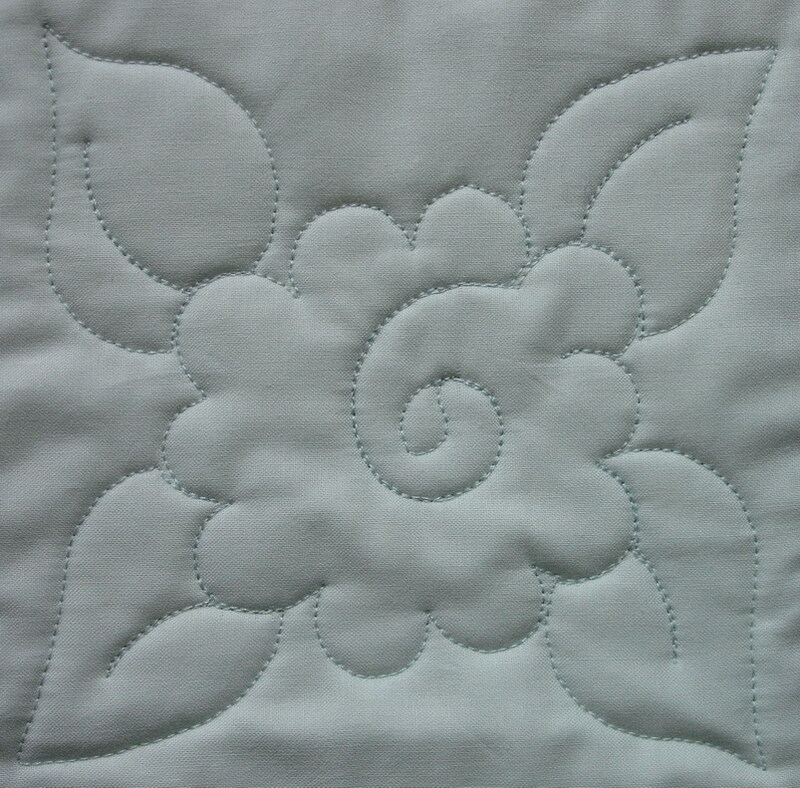 It was quite a simple quilting design but felt appropriate for Pat’s quilt. What a wonderful quilt. 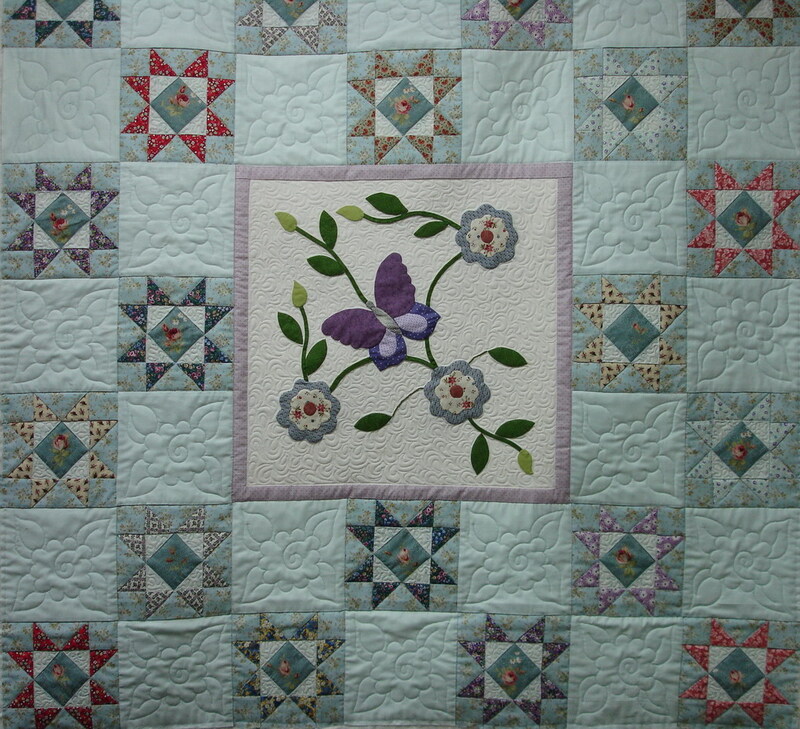 Beautiful stitching, and the quilting really complimented the quilt. Well done Pat and welcome to the world of quilting. Hi Denise, It was a very pretty quilt on which to work. Pat said that she enjoyed making it, and was already planning the next project, so I think that she has become “hooked” on stitching.